Here’s what’s being said and my questions and concerns about two of those areas. Children with dyslexia don’t get intensive reading instruction based on science. What happened to resource classes? For years public schools at the elementary, middle, and high school levels offered smaller classes involving intensive remedial reading for students with reading and math disabilities. Resource classes should be provided under IDEA. A student who struggled with reading in the general class was tested by the teacher, special education teacher, and the school psychologist. If they were found to have reading disabilities or dyslexia, they would qualify for special education and attend a resource class one or two hours a day for intensive reading instruction. They attended general classes for everything else. Resource classes were the places to get intensive phonics. As a resource teacher, my school district in Florida offered professional development in the latest phonics programs. My undergraduate program at Central Michigan University in elementary education (and special education) also covered phonics instruction. Dyslexia was not unknown, but it was considered rare. Programs like Orton-Gillingham have been around since the 1930s. More research and a better understanding of dyslexia has come about through the research of those like Sally Shaywitz, MD and others. There seems to be an increase of dyslexia. One in five children present this reading difficulty. But not all children have dyslexia. It is not a school-made problem, but schools should be places where children can get help with reading. The resource teacher collaborated (the word we used) with the general education teacher to modify the student’s classwork in other subjects too. By modify I mean provided the student instructional support even when they weren’t in the resource class. Resource classes are smaller classes, so students get more individual attention. 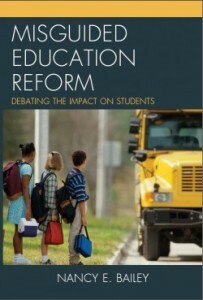 I fear that, since IDEA reauthorizations, parents see resource classes as unacceptable and want their children in general classes which are much too large for individualized instruction. They want all children to get remedial reading (intensive reading instruction) but not all children need it. I have known children who wind up working on lots of phonics worksheets when they already know how to read and comprehend. This is just as unfair to those children as not providing phonics to children who need it. Not all children have dyslexia. But those who do require attention. Education schools do not teach teachers how to teach reading. Along with the negative reporting, some teachers confess they never learned to teach reading. How worrisome! What university did they attend? If a college took your money and was supposed to prepare you to teach, and didn’t, you need to hold that school accountable. If you admit you didn’t learn how to teach reading, please state the name of the school you attended. That way educators can look at the school and the school can review your accusation and either fix the problem or challenge your claim. Every teacher should also do student teaching under the supervision of a qualified teacher who understands how to teach reading for several months before they take charge of a classroom. One worry is that few universities teach teachers to work with students who have learning disabilities. Years ago, “Learning Disabilities” was an actual certification that teachers were required to earn through much coursework and study. This prepared them to teach students with reading difficulties as resource teachers. I think this important area of study was lost with IDEA reauthorizations and the push for inclusion. Now, general education teachers get a blanket class and little preparation to teach specifically to students with reading disabilities and dyslexia. It is amazing to me that the teachers I know individualize their instruction as well as they do. But it is unreasonable to think that general education teachers with class sizes of thirty plus will be able to effectively assist children with reading disabilities or dyslexia. I have never understood why the category of learning disabilities was removed as an area of such specified study in universities. I wish reporters would look into this. I am also concerned by all the online and for-profit schools, and quick degree programs, that don’t seem to be accredited. And please don’t think that a Teach for America novice is going to adequately teach reading with five to six weeks of training. Nor will any computer program sufficiently teach reading. Technology can be helpful but it is not a cure-all for reading difficulties. It’s imperative that universities bring back the Learning Disabilities area of study, and that fast-track programs to make teachers be ended. For-profit schools also cry out for oversight. Many other concerns exist when it comes to the teaching of reading. I will try to touch on more in the weeks to come. Nancy, you are hitting the nail on the head! The study and research of characteristics and interventions for children with Learning Disabilities disappeared because legislators decided that if a teacher is certified in “IRR” – Interelated Resource, certified teachers in MID, EBD & LD. The specialized training needed for each of those fields individually cannot be met during the time of a teacher’s university training. Also, HOW MUCH CHEAPER it is to hire a teacher with IRR certification. Off the states certification boards went. It has been noticeable for about 30 years that there is no such thing as being an expert in MID, LD and EBD given the severity of many of our students. Addressing all those needs in reg Ed classes for all is crazy & not addressing individualized instruction. WE GET WHAT WE PAY FOR! Those of us who spent years in courses specializing in those three disability categories, know so much more. Now, we added online training, TFA, and provisional certification of people in all walks of life. How can we shame teachers and universities for this market takeover of education. That train left years ago & will not return until we let universities train teachers without the pressures of drive-thru certification, and placing untrained people to work with students who require knowledge, skills & experience in three highly researched bodies of knowledge. No quick fixes. Children have not changed. US just wants it cheaper, faster, less & quicker. Is quality one of the concerns? Frustrating topic that our Corporate Profiteers dismiss because they know ZILCH about our profession. One suggestion: add all important education Univ classes to the training of PolSci and Journalism majors…many are running current education & they know EVERYTHING! Half a chance – read the stupid writings of the Fordham Institute folks. Miss the fantastic education I received in the late 1960’s early 1970’s when research in special education was thriving and teachers were able to teach. Thanks, HA. A lot of eyerolls on my end when I read that teachers don’t know the science of reading. You described what happened well. Also especially troubled when I read parents bemoaning that there’s no assistance for their children. There used to be. It is sad that this support has been taken away and they have to struggle to get it back again. Reporters casting teachers as failures would help children more by checking out a special ed book from that time to see what used to be offered and what went wrong. This article is very true. I taught in a resource classroom and used the orton-gillingham method. This smaller classroom made a huge difference in the success of my students. Most of my students needed help in the area of reading. If you can’t read well you have difficulty w math and all other subjects. Very true. Thanks for sharing, Nancy. When I was in my MAT program at Cornell in 1977, the English teacher in middle and high schools was also the reading teacher. I had to student teach an honors 7th grade English class, a regular 8th grade English class, a 9th grade reading class, and be a one-on-one reading tutor……. So when I rentered the field in the late 90s, I was surprised to find I had to get a second MS in Reading to be a reading teacher. So, I went back to school and entered a 6th year in Reading even though I was certified in English. I learned so much even though I stayed an English teacher. But I never finished the Reading degree because CT was discontinuing reading teaching in the upper grades. I stayed an English teacher. My point is, we need Reading teachers who know how to teach reading. We need English teachers who know how to teach reading. And we desperately need Special Ed teachers who are teaching reading. 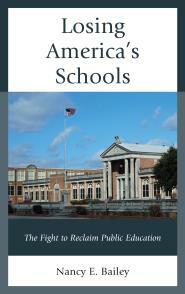 We have lost our way…..
Public schools used to be stricter about certification. Teachers were not allowed to teach if they did not have the appropriate credentials. I wonder about the teachers who are claiming they don’t know how to teach reading, but I also wonder about college programs. Thank you, Jo! You always make great sense! I’m not sure. I got my master’s degree in LD and we learned a lot about reading disabilities and assessment. Dyslexia was rare, but it was discussed. The instruction I had may have covered some of the commercial programs, but teachers were to understand how to address the disabilities. Local school districts brought in vendors pushing their kind of phonics programs. And district admins. and supervisors often chose what would be used. I was certified in Orton Gillingham, and used to teach it individually and in group. I now use it sporadically as needed. It is an intensive program, and effective for the few children who truly need that kind of instruction. It should be used in a small resource room, for limited time, and not be used in the general population. Children come to school with many levels of reading ability. and many are already reading books. They should not all be spending an hour+ a day learning to decode every sound in a word, unless they need that. Reading is best when presented with an emphasis on meaning from the beginning. Students should also have access to many books and an opportunity to read books at their level and interest. I am alarmed at what seems to be a re-emergence of the Reading War. Since I participated in the last one, I see all the same signs. First they try to say that teachers do not know how to teach reading and that students are failing and that it is a “crisis.” They will say that they know the only way to teach reading for all students and it is based on “science.” Then they will try to pass laws limiting teacher decision making and increasing the use of scripted programs. Corporations will try to make lots of profit by offering training and expensive programs and other revenue-generating products. Teachers should learn as much as they can about reading instruction so they can respond to the needs of their students. However, they should know that the “science” does not prove ONE type of instruction is right for all students. Students taught code-only instruction learn to read words better than meaning based approaches, but then can fall behind the meaning-based students when comprehension comes into play. When reviewing studies of code versus meaning based instruction pay attention to the ages of the students and how the term “reading” is used in the evaluation. The results should be on comprehension not just word reading. When they are attacking teachers for not knowing how to teach reading, they are assuming a bottom-up theoretical model of reading,is a proven fact. Perfect points all around, Nancy! I appreciate your point about “scripted” or direct instruction. Phonics programs make a lot of money, and putting those worksheets into online programs is easy too. Teachers really need to understand all the approaches to teaching reading like you say. There’s also some concern that phonics and decoding might not work with certain children with dyslexia. I know that will be hard to believe for some. Thank you. Intensive phonics programs are lifelines to children who are truly reading disabled. Every child does not need such a program. Children who don’t nee them find the repetitive phonics work boring, and quickly lose interest in reading. They see the process as a series of exercises and workbook pages, not one where meaning qnd problem solving qre important. Phonics is but a tool for unlocking the code…most children benefit from some instruction (and it forms the basis of good spelling), but teachers and parents need to understand it is just part of the process. An adept reader only uses phonetic analysis when confronted with an unfamiliar word. Children, also, should be working toard that end. This is an excellent comment. I’d like to add that if all students get intensive phonics, and not all need it as you say, Ruth, the students who require the most assistance will not get it. Cummins, J. (2007). Pedagogies for the poor? Re-aligning reading instruction for low-income students with scientifically based reading research. Educational Researcher, 36, 564–572. But the conclusions of the panel were different than what’s being promoted when it comes to phonics. I look forward to locating your research article. I’m always looking for Reading First information. https://journals.sagepub.com/doi/10.3102/0013189X07313156 Thank you for sharing and also your comment. Teaching Reading takes time. Some children show up in K being able to read fluently. Those are the outliers. However, suddenly, those children and their unusual skills are held up as the GOAL for that age group. The students are DIBBLED & DIBBLED & DIBBLED ……resulting in labels of “At Risk”. These are often young Grade cut-off kidlets, never been taught children, kids who moved around, kids in poverty, bilingual kids, homeless kids & many boys….. all know that they are now in the lowest reading group. Our country is not able to kindly allow children to learn at rates appropriate to their needs. Conveyor Belt thinking! In my long career as a SpEducator, this has gotten so much worse and harmful. Speeding up conveyor belts causes more breakage. I know, I used to work at Heinz Ketchup factories in college where quality control managers constantly increased the speed to fill ketchup bottles…yielding more full bottles, and more broken bottles. Often, they would justify that the increase was worth the smaller rate of breakage. Think of this related to our children. The so-called CorpProfiteer$ are risking enough breakage of our children to push, often never reaching mastery, and compete to beat foreign countries. Our nation is not changing. Only the SUPER RICH can afford to educate their children in a humane and individualized way. The rest are at risk for DAMAGE on the conveyor belt, yet profitable for the SUPER RICH! Breaks my heart & always will. You know I agree with you, HA! Thank you. I dislike Response to Intervention which still uses DIBELS. Ken Goodman edited a lovely little book Examining DIBELS: What it is and What it does. It seems like many don’t like the push to make kindergartners read, but on it goes…. I received my MA in education of the deaf in 1975, just when the golden age of PL 94-142, The Education for All Handicapped Children Act, was going into effect. We were taught that a continuum of services, from residential or day school for the deaf to mainstreaming needed to be provided. We were also taught that every teacher of the deaf is a teacher of language and of reading. We studied language development as well as literacy development in a two year program. Fast forward to about 2010. The RI School for the Deaf, which had achieved a well-deserved international reputation for a spiraling curriculum that included an emphasis on developing English language competence as well as reading/writing competence in our students, was labeled a Persistently Lowest Achieving School, largely based on our students’ low scores on the state standardized assessment. As a faculty we could not seem to get through to the “experts” at the RI Department of Education that the dedicated and experienced teachers were not failing our students, nor were our students failing. We were all engaged in a herculean effort to provide content area knowledge and skills to students whose linguistic skills in English were profoundly impacted by their inability to process conversational spoken English. In addition, many of our students came from families where English was not the language spoken in the home. Gallaudet University had a department that periodically normed deaf and hard of hearing students’ achievement on the Standford Achievement Tests. Students were first given a screening test to determine which grade level would be best for them. A middle school student might be reading at the 2nd/3rd grade level, and given that level of the SAT. In this way their performance could be compared to other deaf and hard of hearing students of their age. How could it make sense for them to take the state assessment at their grade level and not their reading level? Testing at a student’s frustration level yields no insight but only serves to frustrate students and/or contribute to a sense of deficiency. At the same time that the school was labeled Persistently Lowest Achieving, our faculty, who previously had been praised as highly qualified/experienced/dedicated, now were demeaned as ineffective. Such a travesty for teachers and students and their families. I always love to hear about your experiences teaching, Sheila, because they always reflect the best of education at that time. There was no reason to destroy such teaching and service. I wonder if the corporate reformers recognize the harm they’ve done. Or if they care. A continuum of services is what all schools need to best serve the individual needs of students. I often wonder what it would be like for students today if we had continued on the great path we all were on in special education at that time. Thank you! I admire your efforts in the field of learning and education. I my self have promoted education throughout my life.